Many Virginia residents are moving towards solar. They’re realizing how solar panels and gear have come to cost effectiveness, and how the big sea change toward solar and renewables helps both individual households and companies to become more energy-independent. That means there’s a lot of interest in solar – but who’s around to help? In Rockbridge County and some other surrounding Central Virginia counties, a solar co-op is helping individual property owners and entrepreneurs to implement solar strategies. Since 2015, co-op leaders have been meeting to talk about how to make solar adoption more practical for members. Reports in places like the News Gazette showed early efforts to band together to get solar discounts in cities like Lexington, and around the rural areas of the Shenandoah Valley. As founders point out, being involved in the co-op can also make members feel more confident about going solar, because they have the power of a passionate community behind them. These days, with the governor’s office proudly promoting solar solutions, and big commercial solar farms opening up around the state, there is even more of a drive toward both large and small solar projects. Projects like the massive Louisa County solar farm now in planning, and existing “solar campuses” serving big retailer Amazon, are inspiring others to go ahead and start getting onto the solar bandwagon. With that in mind, the Rockbridge area co-op is still very active. Co-op leaders held a meeting in Harrisonburg’s Massanutten Library July 12 to talk about what’s next for customers. In comments July 13, VA Sun program director Aaron Sutch confirmed that the group now has about 100 members, with 40 or so individuals moving forward to complete solar projects. Under the group’s aegis, he said, 20 solar installations have been done. Most of it is residential, and properties are evaluated for good roof access, and large, unshaded roof areas. 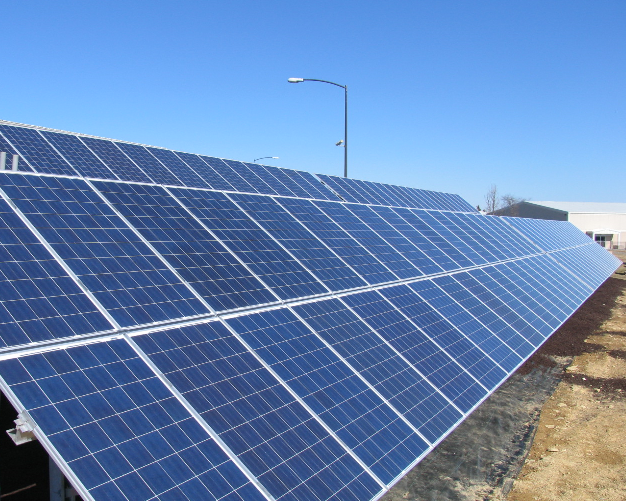 If you live outside the coverage area for the Rockbridge solar co-op, that doesn’t mean you have to move forward in solar designs without a partner. Sun Day Solar has been helping Charlottesville and Albemarle County residents to be confident about their solar plans, and to get these kinds of renewable energy projects done as quickly and affordably as possible. We help take a lot of the guesswork out of your plans to benefit from the natural energy of the sun. We’re used to helping our clients along with information built on experience helping with rooftop solar and other innovative projects. Ask us about how your property can benefit from solar designs.